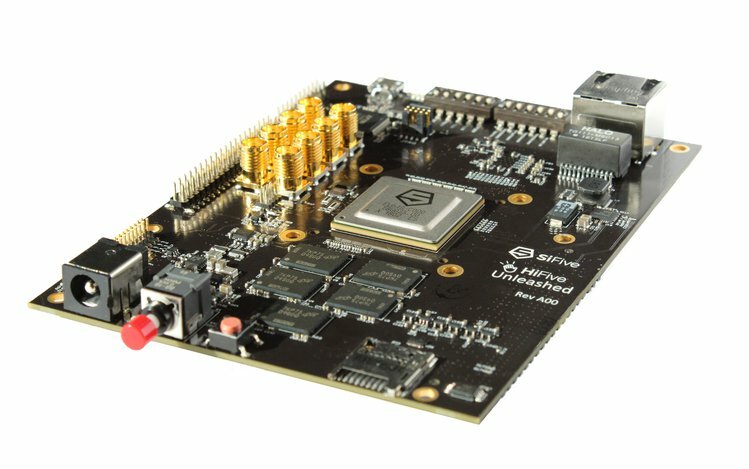 SiFive launched an upgraded Freedom Everywhere SoC and corresponding development kit, the HiFive1 Rev B, powered by SiFive’s E31 CPU, the FE310-G002. A small yet mighty 68 mm x 51 mm, the HiFive1 Rev B can connect to Arduino-compatible accessories and is a great platform for real-time embedded applications. Since the launch of the original HiFive1 and the FE310 in 2016, we have received lots of great community feedback. 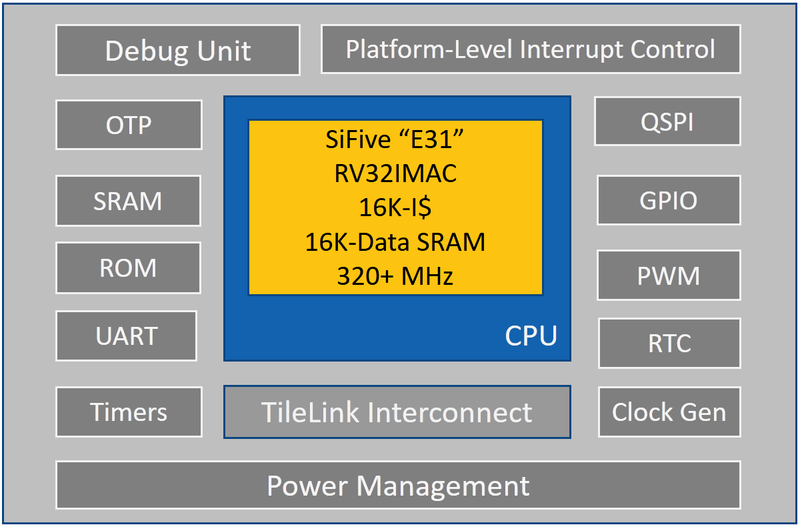 The FE310-G002 is an upgrade to the Freedom Everywhere SoC, that adds support for the latest RISC-V Debug Spec 0.13, hardware I²C, two UARTs, and power gating the core rail in low power sleep modes. Like the original FE310, the FE310-G002 features SiFive’s E31 CPU core complex, a high-performance, 32-bit RV32IMAC core with a 16 KB L1 instruction cache, a 16 KB data SRAM scratchpad, and hardware multiply/divide. 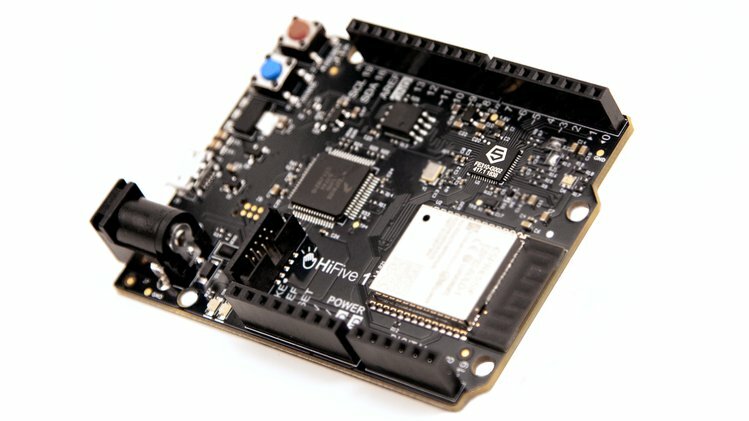 Running at 320+ MHz, the FE310 is among the fastest microcontrollers on the market. 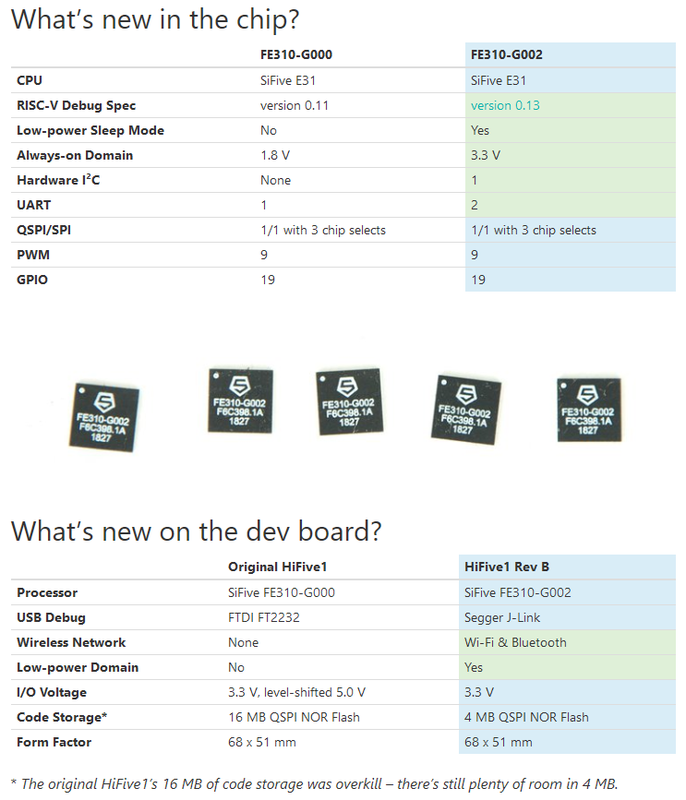 The HiFive1 dev board has also been upgraded. Powered by the FE310-G002, the new HiFive1 Rev B has wireless connectivity through an onboard Wi-Fi/Bluetooth module. The USB debugger has been upgraded to Segger J-Link, with support for drag & drop code download. 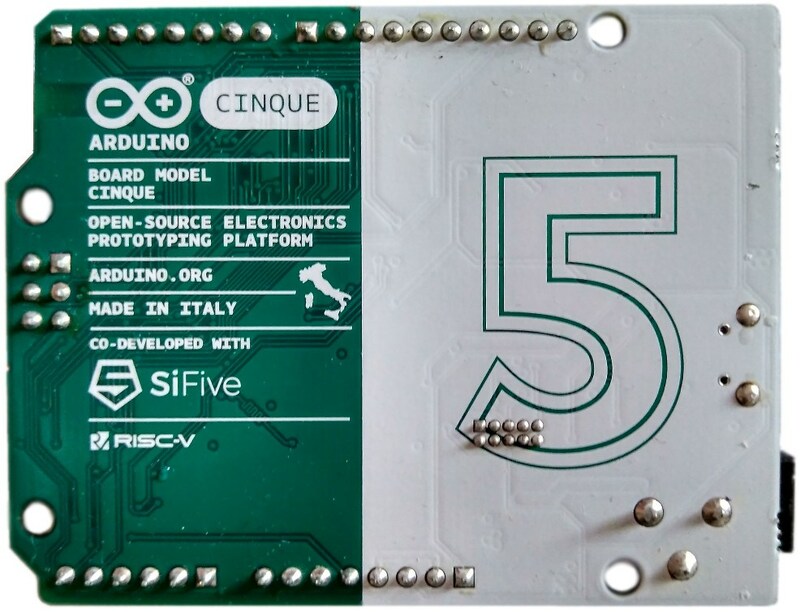 In favor of driving GPIO directly from the FE310, the HiFive1 Rev B supports 3.3 V I/O only.